/ Gold / Gold News / Ron Paul: Gold Could Go To Infinity! 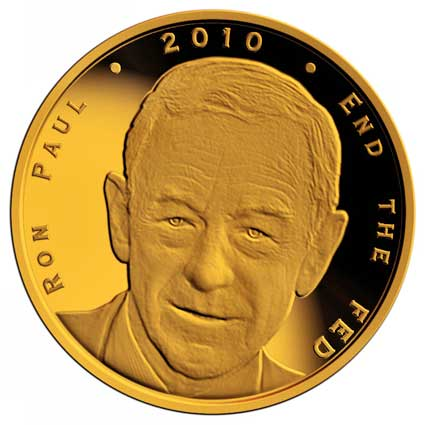 Ron Paul: Gold Could Go To Infinity! Today’s AM fix was USD 1,297.50, EUR 968.43 and GBP 766.21 per ounce. Yesterday’s AM fix was USD 1,307.50, EUR 972.84 and GBP 770.39 per ounce. Gold fell $4.50 or 0.34% yesterday to $1,300.60/oz and silver slipped $0.02 or 0.1% to $20.60/oz. Silver for immediate delivery rose 0.2% to $20.61 an ounce in London. Platinum was 0.2% higher at $1,485 an ounce. Palladium gained 0.2% to $882/oz and appears to be consolidating close to a 13 year nominal high of $889.75. Gold is flat in London this morning after gold in Singapore was also tethered to the $1,300/oz level overnight. Futures trading volume declined after recent increases and was 31% below the average of the last 100 days, Bloomberg data shows. Gold is testing support at the 100 day simple moving average at $1,299 currently and below that there is support at the 50 and 200 daily moving averages at $1,294/oz and $1,285/oz respectively. Premiums for gold bars in India have fallen again due to lacklustre demand in India. Premiums in top buyer China were steady at about $2 to $3 an ounce. Middle Eastern demand may have picked up due to geopolitical risk and the festival of Eid is seeing another mini gold rush for jewellery in the Middle East as lower prices attracts buying. Geopolitical risk remains very high but has not been reflected in precious metal prices as of yet. The Middle East remains a powder keg as increasingly are relations between the U.S., the EU and Russia. Hamas ruled out a truce in the Gaza Strip until Israel lifts its blockade and bombing of the Palestinian territory, as the Israeli military’s bombing of Gaza intensified. The U.S. and European Union sought to put more pressure on Russia by targeting banking, energy and defense industries. These measures appear to be an attempt to cripple the Russian banking sector and economy and will likely be met with retaliation from Russia. We appear to be on the cusp of a full blown economic war and economic wars tend to be the forerunner of actual war. Given the nuclear capabilities of both sides, politicians would be better suited calling for calm and negotiations rather than constant escalation. If the Russian banking system is crippled, a Russian response could include cyber war targeting western banks and market exchanges including stock markets. A cyber and financial war poses real risks to western investors and indeed savers that is as of yet not appreciated. Former U.S. Representative Dr Ron Paul told CNBC’s Jackie DeAngelis and the Futures Now Traders that the long-term case for gold remains firmly intact. In another interview with CNBC, Dr Paul reaffirmed his view that the nation’s monetary and fiscal policies would result in massive inflation. He warned of a stock market crash and of the risk that currency debasement will lead to the continuing devaluation of the dollar. Ron Paul has long said America should “end the Fed,” and he made that case once again on Tuesday.